I'm positive most people would agree with me when I state that weekends are a time for rest, relaxation and rejuvenation. Regardless of your lifestyle (whether a student, stay at home mum or full-time business executive) we all need to set aside a little time for ourselves. Just as a car won't run without fuel, so your body and mind can't perform at its highest peak without the proper care and attention. Relaxation can take many forms. Some of you may like nothing better than to relax on a hammock on your back verandah, lie on the beach, take a stroll to the park, soak in the tub or simply curl up on the lounge with a bowl of homemade popcorn and the latest DVD. When I feel like escaping the crowds, these are great ways to relax and take time for myself (particularly on a tight budget). For those of you with cash to spare, my personal recommendation for the ultimate experience in weekend relaxation is to treat yourself to a pamper experience at a day spa. Most day spas cater for men and women so you can catch up on personal time with your husband by making it into a romantic weekend away. Day spas can be a little pricey so if you can't afford an ultimate day package you could always opt for a couples or single one hour massage. Retail shopping is another great way to relax on the weekend (although I have an inkling I speak mainly for the women when I say this). Shopping, strolling and sitting is how I like to describe it. After shopping and strolling through the shops, take a breather and relax over lunch delighting in the fact that you didn't have to cook. Some of the prominent shopping precincts in my district (Brisbane) are the Queen Street Mall, Fortitude Valley (also known as 'The Valley') and one of my favourites DFO (Direct Factory Outlets). 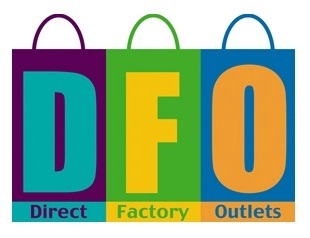 DFO's are discount shopping centres located throughout Australia offering consumers all the big brand names at discounted prices. I'm confident in saying DFO will have what you need in regards to clothing apparel as they stock everything from formal to casual wear, work attire, sports apparel, footwear, baby and children's wear and more. Apart from retail shopping and pampering myself at a day spa, another popular way I like to relax is to arise early while the day is fresh and head off to the markets. 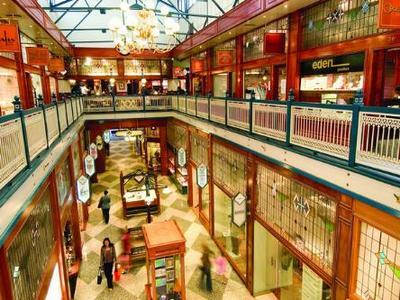 There are numerous market venues to choose from all throughout Australia (visit Market Guide for a full listing) and for me it's not just about the shopping. Most markets have live entertainment and an array of cultural cuisine to choose from so the whole experience makes for a lively and fun (yet relaxing) day out. Whether on a budget or not, there are countless activities you can choose from in order to indulge and relax on the weekend. My top three choices for the best way to relax on the weekend are shopping, pampering and markets. What's yours? Pick a direction, and walk for hours, looking at all the stores, houses, offices, churches, etc. Sometimes I take pictures if I see something really beautiful. When I get home, I give myself a nice, long foot massage. I live in Northcote, and High St. is a good road for walking, full of interesting things to find. Exploring your local area is free, gives you knowledge, good exercise, and you're always discovering something new! Head into the Botanic Gardens with a bottle of wine (discreet) and some enjoyable reading material. Take your best friends/lovers and enjoy a relaxing Sunday in the sun! Take our lunch to the local park, walk around to get a little exercise and fresh air followed by nice lunch picnic, cheap and fun family bonding. We ( husband & 2 small children) go as early as we can to barmoral beach for a swim, it's a very relaxing spot near the rock pools with little ones and an easy swimming area too. Grilled Fish & chips for lunch yum yum. Walking through the bush trails in Toohey forest so close to town,yet so close to nature. Local coffee shop. Sip slowly while reading their magazines.